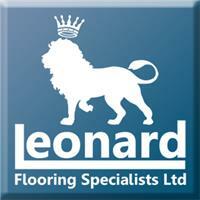 Leonard Flooring Specialists Ltd - Carpets/Flooring based in Royal Industrial Estate, Tyne and Wear. We are a family run company based in South Tyneside. With many years experience within the flooring trade, we specialise in the supply and installation of commercial and domestic floor coverings. The main areas we cover are South Shields, Hebburn, Jarrow, Pelaw, Boldon and South Tyneside. We offer a wide selection of carpets, vinyls, laminates and solid wood flooring. We also have numerous ranges of design flooring (LVT) available, including but not limited to Karndean, Distinctive Flooring and Cavalio. We also cover all aspects of commercial flooring including, safety flooring, cove formed vinyl, carpet tiles and subfloor preparation. Mobile showroom and free estimates available. Main showroom based in Jarrow.